Eclipse top loading balances feature a large grade-304 stainless steel top pan that has an increased weighing capacity over other Eclipse models. This model can conduct below balance weighing by attaching a weighing hook beneath the balance; this can be used to carry out specific gravity testing and density determination experiments on a variety of materials including concrete. 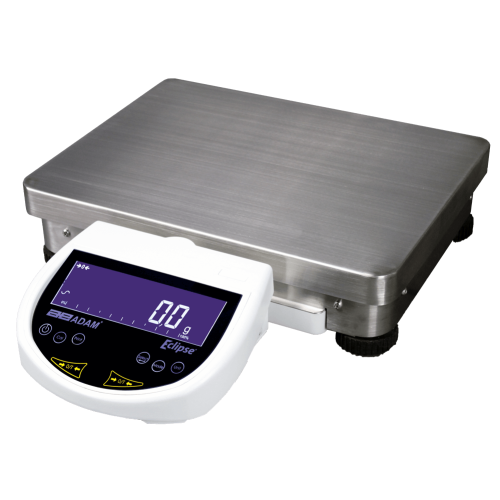 Eclipse top loading precision balances feature a large grade-304, chemical-resistant stainless steel top pan for handling chemicals and hazardous compounds.